Private Jet Central is now able to fly skiers to a greater number of destinations in the Alps this season following extensive crew and pilot training. 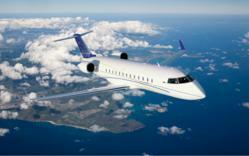 Private Jet Central is delighted to announce improved winter capabilities to their fleet of jets. After undergoing extensive training all of their Challenger 850, 605 and 604 crews are now approved for the precision approach into Chambery. This ensures that more aircraft within the Private Jet Central fleet are able to operate directly to Chambery even during poor weather which would normally require a diversion to Grenoble, Lyon or Geneva. PJC’s crews are also able to operate at night to Chambery, allowing clients to take advantage of a wider range of flight slots with a greater choice of flying times from the UK. This advantage gives access to a larger number of airport slots, which is especially useful during the peak holiday periods. For more information about flights to skiing hotspots in the Alps or hundreds of other locations around Europe and the rest of the world, please contact the Private Jet Central office. Private Jet Central is a global jet charter company with offices in the United Kingdom, United States and the Middle East. Founded in 2001 they offer a range of jet charter services to business and pleasure users in the UK and Europe including private jet from London to Geneva flights. More information on the full range of services offered by Private Jet Central is available from their website at http://www.privatejetcentral.com/ and also by contacting any of their offices by phone or via e-mail.